• Looks like Aqua decided that a greatest hits package just wasn’t enough, with their brand new single ‘How R U Doin’ being released in Europe on Monday. It’s the lead single from a forthcoming album that the band says will be out later this year. Hit their FACEBOOK page to have a listen. • The Potbelleez will release their brand new single ‘From The Music’ this Friday. It’s the third single to be lifted from their delayed album ‘Destination Now’ and according to a record company spokesperson is also set to be officially serviced to radio the same day. • Californian indie outfit Foster The People will release their debut album ‘Torches’ in Australia in May. The band is currently on tour in the US following their February visit down under and Sony hints that they’ll be announcing more local live dates soon. 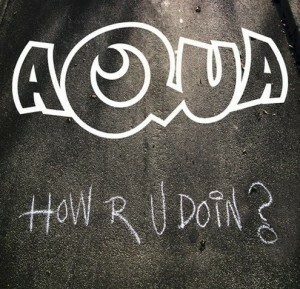 The album is set to drop on Friday May 20. • Word on the street is that pre-sale tickets for Kylie Minogue’s forthcoming ‘Les Folies’ tour of Australia have been selling rather well. They’re on sale to the general public on Tuesday. • Speaking of selling well, the boys from Bliss N Eso are reporting good sales of tickets for their latest tour. The Festival Hall gig in Melbourne has already sold out, along with shows in Hobart and on the Sunshine Coast. Only limited tickets remain for their shows in Sydney, Brisbane and Mount Gambier. • Northern Territory rapper Emerald Sun will see his new single ‘Feeling Good’ serviced to radio on Monday. The performer describes it as “one of those songs you put on when you’re getting ready to go out on the town.” Check it out HERE. • British songstress Nerina Pallot (pictured) will release her new album ‘Year of the Wolf’ at the end of May in her homeland. Produced by Bernard Butler, the album is preceded by lead single ‘Put Your Hands Up’. It’s out on May 30 in the UK, but no word yet on a local release. • Angus & Julia Stone this week celebrate one year in the album chart top 20 for their award winning LP ‘Down The Way’. To celebrate, they’re hitting UStream tomorrow morning for a one hour live set to say ‘thankyou’. They’ll play from the garden of their home in Melbourne before heading off to Shepparton to take part in the city’s 3630 Festival. The UStream will be live HERE from 9:30am AEDT (that’s 10:30pm GMT). • We told you about the new company UNFD in a news wrap back in January, but this week they’ve announced that they’ve signed an exclusive deal with Warner Music. UNFD have the likes of The Getaway Plan, Miami Horror, The Amity Affliction, Philadelphia Grand Jury, Illy and Grafton Primary on their books. • Sony Music kept this one a little quiet. 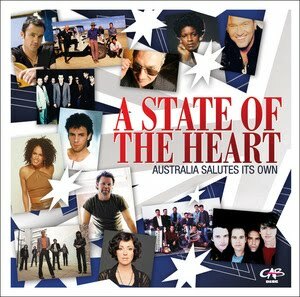 It’s a new two disc compilation album called ‘State Of The Heart’ and features some of Australia’s brightest talent taking on some of Australia’s most iconic songs. Tracks include Tina Arena’s take on Split Enz’ ‘I Hope I Never’, Marcia Hines’ version of ‘April Sun In Cuba’, Rick Price’s cover of ‘Tenterfield Saddler’ and other tracks by Shannon Noll, Crowded House, Paul Kelly, John Farnham, Missy Higgins, Jimmy Barnes and more. It’s in store now. • On the Billboard hot 100 singles chart this week, Lady Gaga maintains her stranglehold with her single ‘Born This Way’, but Cee Lo, Rihanna and even Jennifer Lopez are threatening. Ke$ha’s single ‘Blow’ enters the top ten at No.7 while the new Britney track ‘Till The World Ends’ pops in at No.20. • And Adele maintains her No.01 standing on the US album chart with her album ’21’. Marsha Ambrosius debuted in the No.2 spot with debuts also at Nos.6 and 7 for Dropkick Murphys and Aaron Lewis respectively.